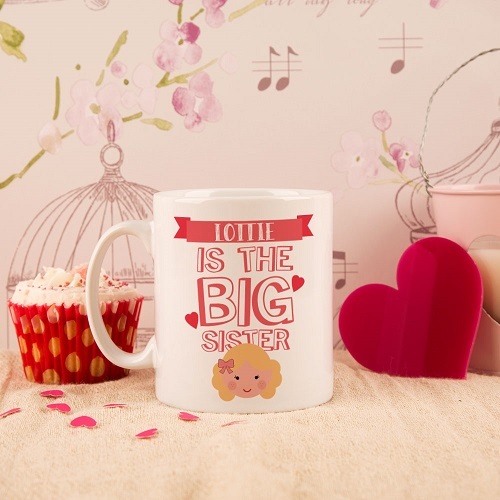 Make a new big sister feel extra special with her very own big-girl mug to drink out of. 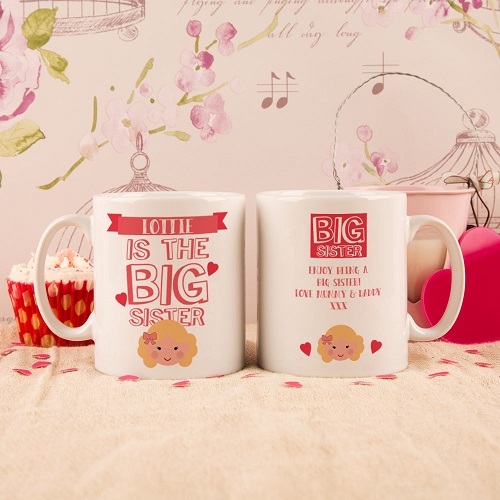 The fun design features "is the big sister" text, with a cute little girl below! It's customised with her name in the banner at the top, and special personal message on the back of the mug too. 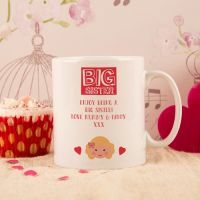 It's a lovely memento for her to receive once the new baby is born, or as a fun way to make the big announcement to her!